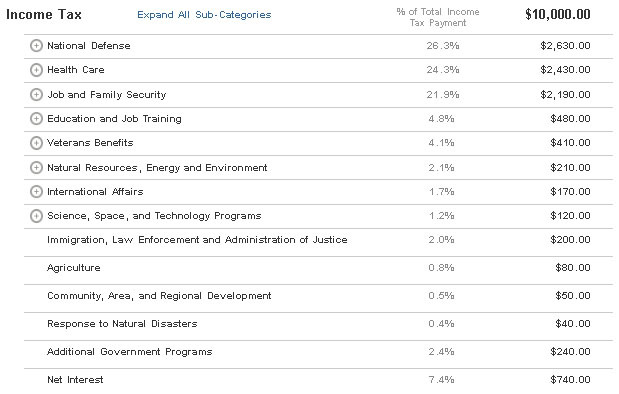 According to the White House, here’s where your money went if you paid $10,000 in income tax last year. Click here if you want to get a receipt for the actual amount you paid. Fun!